We can observe the universal potential (energy) and any object or form from a range of perspectives including its gravitational, electromagnetic, kinetic and thermal perspectives. A general characteristic of energy is that it is continual transformation - the universe(s) is constant change. So it is with the transfer of thermal energy, which we measure using thermometers of various sorts. We experience the transfer of thermal energy as heat. What we are experiencing is the manifestation of atomic and molecular motion - the greater the motion the greater the heat we experience. All forms have motion amidst the universal flux. All forms are transient and exist only for the period that the rate of incoming thermal energy is balanced by the rate of outgoing thermal energy, for thermal energy constantly moves from warmer regions to cooler regions. Thus continual warming and cooling is the natural order. All life forms can adapt and exist to only a relatively narrow temperature range and all work to sustain constant temperatures in wondrous ways. We are Thermal Beings and live a paradox, being a brief point of balance and stasis amidst the universal flux of change. Our ability to sustain our form is reliant on our capacity to know and continually adapt to change. Denial of stewardship/change is endemic in our Anglo-American culture. For instance it is common to equate and confuse the warming symbol with the warming up symbol. The former involves no temperature change while the latter involves increasing temperatures. This is a profound destruction of the science of thermodynamics and denial of change. This disconnection with reality enables the denial of stewardship and unsustainable behaviour. We all retain the capacity for self-hatred and this symbol use is a manifestation of our rejection of life. Very often this derives from the dissonance caused by our sense at the cellular level that our actions are in discord with reality – the universal change in which we are stewards. Every living cell on Earth is sentient of the reality, which is that global warming is vital for life on Earth. Our planet is warming at the rate it is cooling. Life is sustained in this balance. 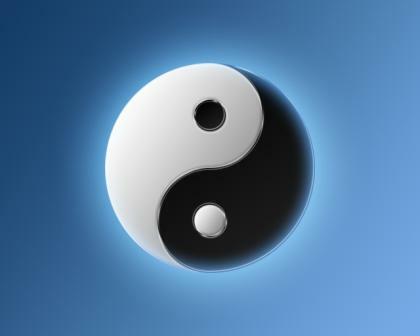 All life forms disappear when this balance ceases. The symbol use reveals a subliminal denial of stewardship in which we project our failure to care for the balances that sustain us onto global warming process. We symbolise it as the problem and as the enemy..
Conserve the potential of the warming and cooling symbols. Know that all forms are warming as they are cooling in the universal thermal interchange. All forms pass as they warm up or cool down. Teach our children this and they can better embrace their Thermal Beings and enjoy greater harmony with all.